The city of San Antonio's Pre-K 4 SA program, an all-day pre-K, graduated its first class in June of this year. Ratcliffe said there is a clear need for expansion: In 2013 there were over 225,000 students enrolled in pre-K programs and that same year the state had over 385,000 kindergarten students. Right now under state law, non-English-speaking students, low-income children and military dependents are eligible for free pre-K, but without funding many school districts quickly run out of room. “First and foremost it’s likely to mean serving more children that fall into those categories,” Ratcliffe said. But she said who is eligible for free pre-K could be changing during the upcoming 2015 legislative session. Federal officials will notify the TEA in December whether they approved the pre-K expansion grant. 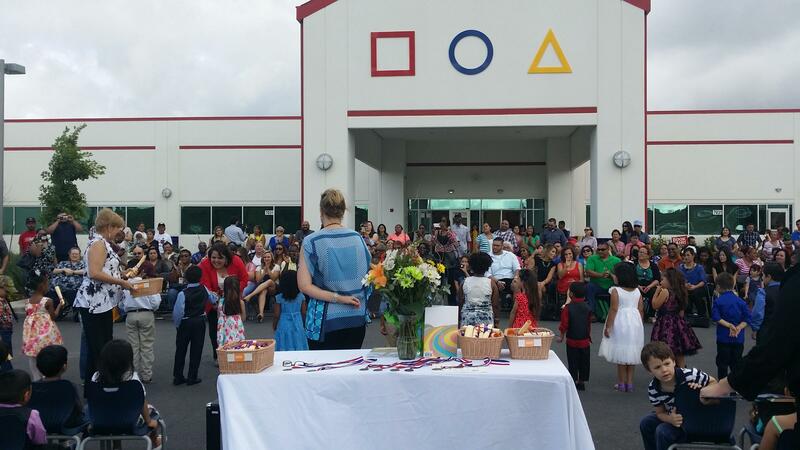 Pre-K 4 SA began with a bang last fall for its inaugural year with Mayor Julián Castro himself greeting children and their parents at the door as they walked in to a new program and a new chapter in San Antonio's history. Now that the school year is just about up, it's time to get an idea exactly how the program performed in its first year to see what worked well and what needs improving. After two hours of debate, board members of the South San Antonio Independent School District rejected joining the city’s Pre-K 4 SA program. South San ISD approved last year’s memorandum of understanding with the city on Pre-K 4 SA but declined to do so this year under the direction of newly hired Superintendent Abelardo Saavedra. The board voted 6-1, with Rose Marie Martinez the lone dissenting vote. Construction workers hurried up and down the halls this week, carrying drills and popping in and out of classrooms. They are on a deadline of the year to finish up the final two Pre-K 4 SA centers in the program. The East and West education centers are expected to welcome 350 students each this year. In all, the four education centers -- two of which opened last year on the north and south sides of town -- will greet 1,500 students.